Joe Rosenthal died today at the age of 94. 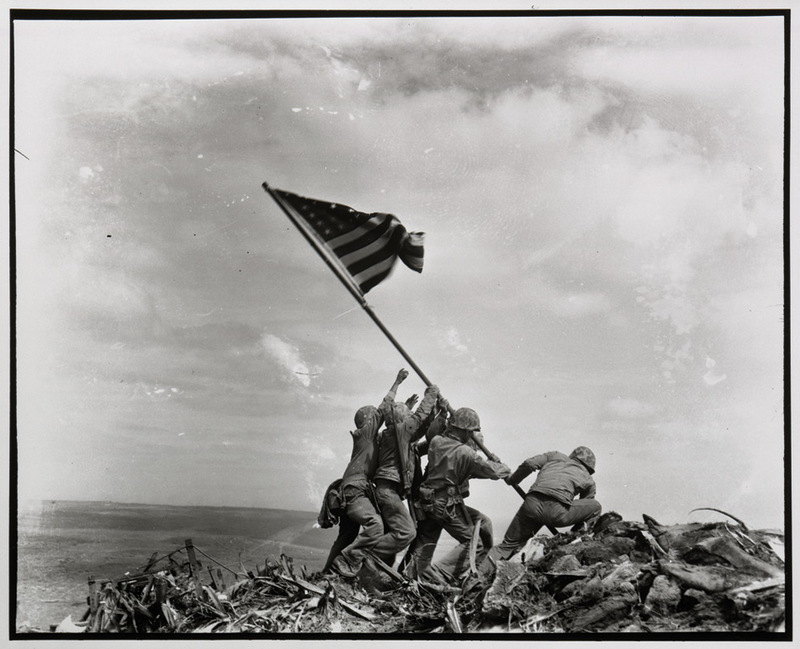 He is best known for taking the most famous photograph in WWII – raising the flag at Iwo Jima. What many people don’t know is that three of the flag raisers died in the following days at the Battle of Iwo Jima. When asked if the Marines posed for the picture Rosenthal said if it had been posed he would have ruined it by choosing fewer men and making sure their faces could be seen. Right place at the right time. God bless Joe Rosenthal and the Marines of Iwo Jima. While a work crew was digging up our front yard to replace the main sewer line, Honeybun and I went to the O.B. for another check up. Awesome. The doctor still wants to keep a close eye on Honeybun and the baby so we are going to have yet another ultrasound in 4 weeks. Oh, our pipes now flush without backing up. What a great day! I suppose there is no use in denying it or trying to falsely be humble about. I just have to accept that we are beautiful people.